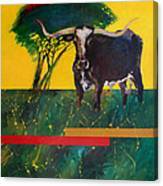 Loner by Ron Patterson - 7.125" x 8.000"
Loner art print by Ron Patterson. Our prints are produced on acid-free papers using archival inks to guarantee that they last a lifetime without fading or loss of color. All art prints include a 1" white border around the image to allow for future framing and matting, if desired. 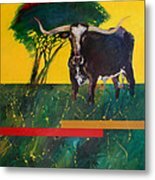 Original acrylics on gallery wrapped canvas sides finished.The early Texas settlers obtained feral Mexican cattle from the borderland between the Nueces River and the Rio Grande and mixed them with their own eastern cattle. 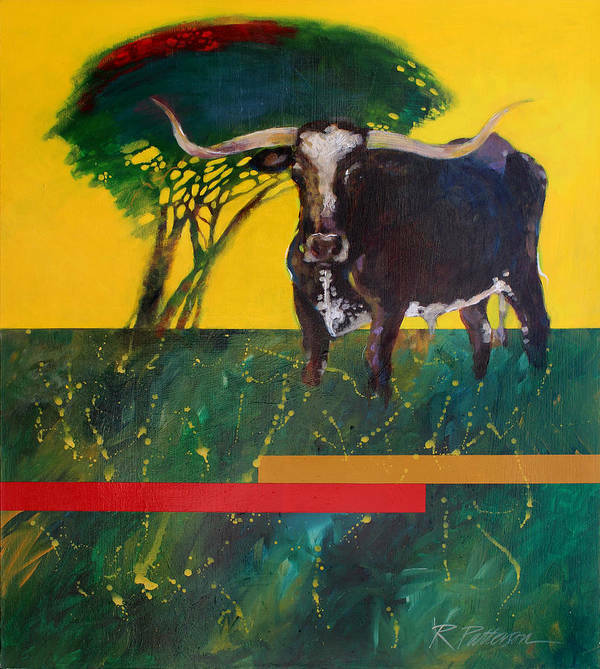 The result was a tough, rangy animal with long legs and long horns extending up to seven feet. 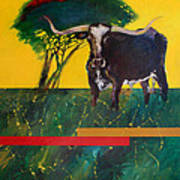 Although this interbreeding was of little consequence to the makeup of a Longhorn, it did manage to alter color.